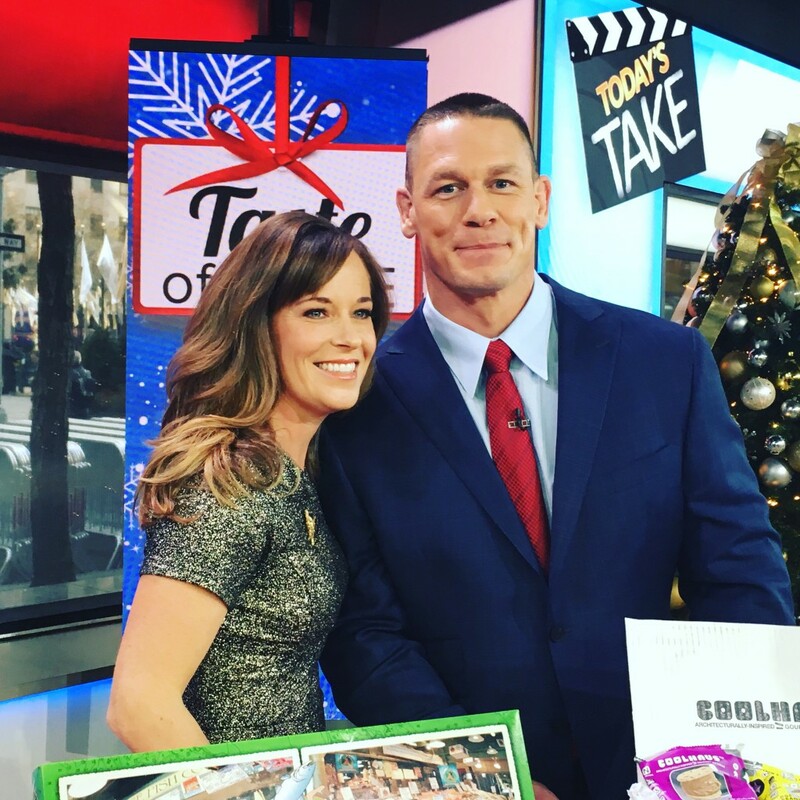 I must say John Cena seems pretty smitten to be hanging with Willie Geist and myself. In fact, he was extremely nice and when we were joking around about how my picks were going to make it hard to keep eating healthy, and I playfully hit him in the arm, I almost broke my hand. For real, it was like hitting a marble wall. He takes his workouts seriously, but he was a great sport in this segment for TODAY.